Latest from the house of Samsung is a smartphone which is loaded moderately on the specifications front & will target the mid ranged price level market. This smartphone is code named as Samsung Galaxy Core & available in two model nos. I8260 which is a Single Sim smartphone & I8262 is a Dual Sim smartphone. 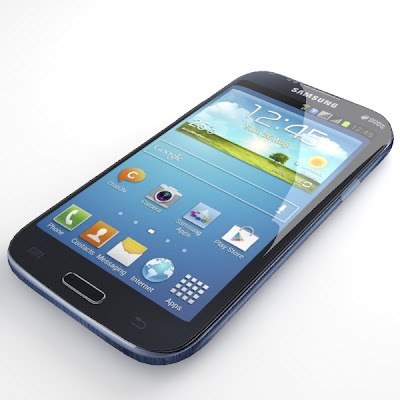 Samsung Galaxy Core sports a 4.3 Inch TFT Capacitive Touch screen with multi touch & TouchWiz UI. This smartphones has a WVGA display resolution of 480 x 800 Pixels, ~217 ppi pixels density, 16 M Colours. Dimensionally Samsung Galaxy Core I8260 / I8262 fits well in your palm as it measures 129.3 x 67.6 x 9 mm (5.09 x 2.66 x 0.35 in), it weighs 124 gms (4.37 oz) & this smartphone has two colour options to select from Metallic Blue & Chick White. On the display front this Samsung Galaxy Core looks decent, now lets foray the technicalities. This smartphone holds under the hood a Dual Core 1.2 GHz Processor, 1 GB RAM. Nothing is revealed about the packed Chipset & GPU. It will come out of the box with Android OS v4.1.2 (Jelly Bean). Samsung Galaxy Core stocks an internal memory of 8 GB with an additional support for 64 GB microSD card. The primary snapper of this smartphone is of 5 MP with LED Flash light, Geo tagging, auto focus, touch focus, face & smile detection. The shooter is capable of clicking images of resolution 2592 x 1944 pixels & record videos of resolution 480P @ 30 fps. Samsung Galaxy Core holds a VGA secondary camera on its front for video chatting. The data connectivity aspect of this smartphone features Wifi, Wifi HotSpot, Bluetooth v3.0, microUSB v2.0. Samsung Galaxy Core also packs GPS with support for A-GPS & FM radio with RDS. This smartphone has a Li-ion battery pack with the juice of 1800 mAh.